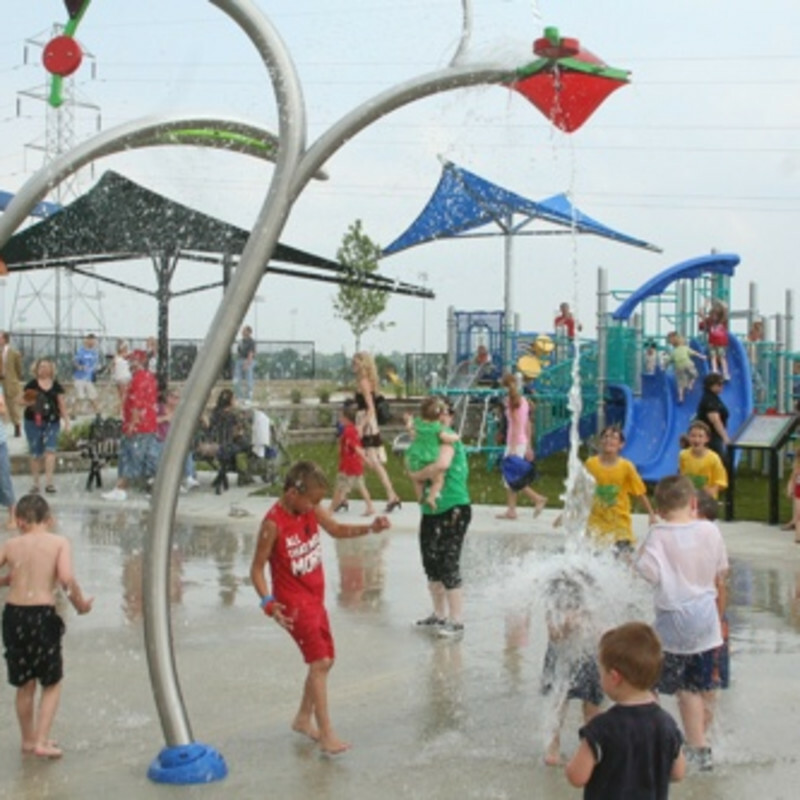 Taylor’s Dream Boundless Playground located in Fort Wayne’s Kreager Park is filled with fun activities for all children to enjoy. This truly inclusive playground allows all children to benefit from the rewards of unstructured play. The Alpha Pod welcomes children aged two to five years old and provides opportunities for solitary play, group play, or parallel play. The Beta Pod welcomes children aged two to twelve years and provides a themed play area that stimulates all of the senses. This pod features a fossilized T-Rex skeleton to explore and an electronic play system that delivers an excellent workout during its games. Lastly, the Gamma Pod, for two to twelve-year-olds, encourages role-play, movement and socialization.